Residents in Boulder City will have an opportunity to learn about different senior health care and housing options at a free forum at the library. 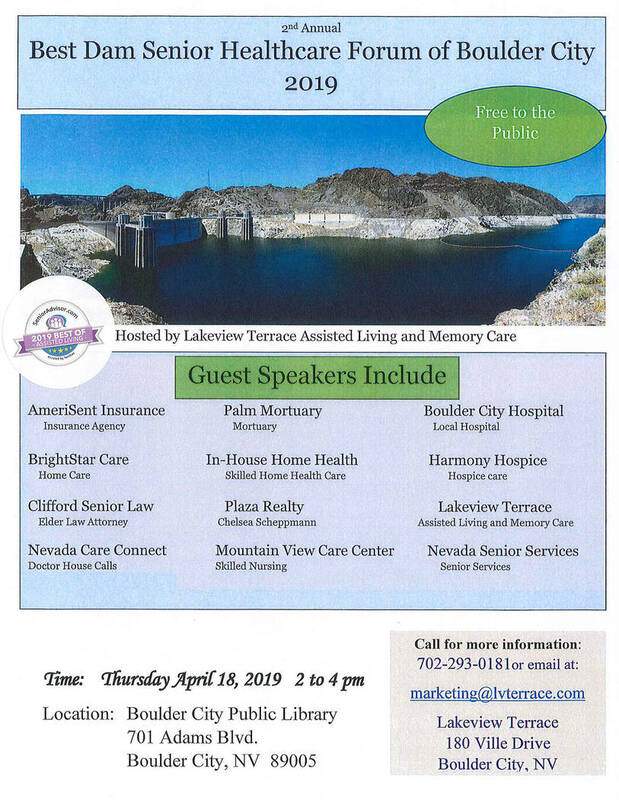 Lakeview Terrace Assisted Living and Memory Care is holding the Best Dam Senior Healthcare Forum of Boulder City 2019 from 2-4 p.m. Thursday, April 18, at Boulder City Library, 701 Adams Blvd. The Best Dam Senior Healthcare Forum of Boulder City 2019 takes place from 2-4 p.m. Thursday, April 18, at Boulder City Library, 701 Adams Blvd. 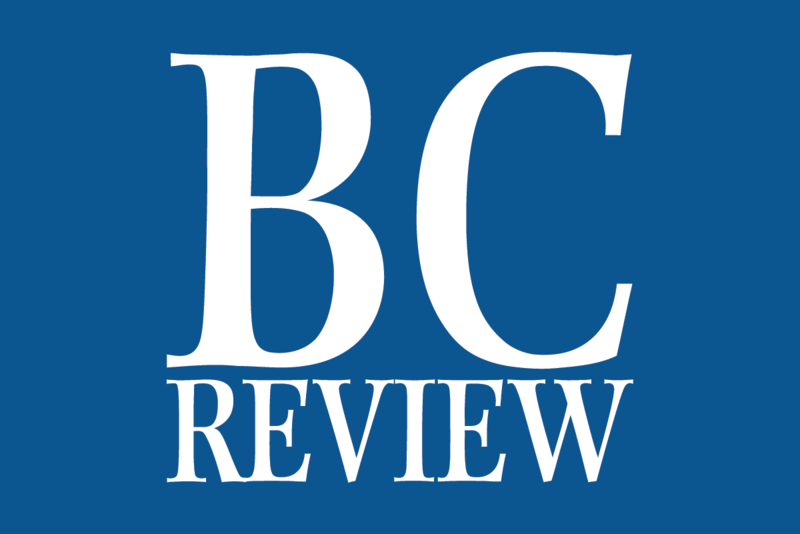 It is hosted by Lakeview Terrace Assisted Living and Memory Care in Boulder City. Speakers for the event are from AmeriSent Insurance, BrightStar Care, Clifford Senior Law, Nevada Care Connect, Palm Mortuary, In-House Home Health, Plaza Realty, Mountain View Care Center, Boulder City Hospital, Harmony Hospice, Lakeview Terrace and Nevada Senior Services. Hoffield said each presenter will give a three- to five-minute talk and then after everyone is finished attendees can talk to whoever they want to for more information. The event is free and open to the public; no signup is needed. Hoffield said this year is the second time this forum has been offered. For more information, call 702-293-0181 or email marketing@lvterrace.com.